The Santa Clarita Valley is a great location for business in part because of its high quality of life. Companies and their teams love it here. 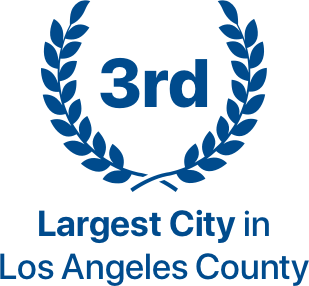 The City of Santa Clarita consistently ranks among the top California communities for families because of the area’s high ranking, high performing public schools. Nearly two-thirds of Santa Clarita’s elementary schools having been named a California Distinguished School at least once, if not several times, for a total of nearly 90 individual awards of recognition since 1986. Santa Clarita schools consistently rank among the top 10 percent in the state. Junior and senior high schools are operated by the William S. Hart School District. The William S. Hart High School District has won the coveted Golden Bell Award for its diversity awareness and anti-bullying programs, for its summer Intensive Literacy Program, and for the exemplary physical education program at Sierra Vista Junior High. Santa Clarita is home to programs like Academy of the Canyons, a unique high school experience for grades 9-12 that allows students the opportunity to concurrently attend college while completing high school graduation requirements. The area also offers several charter school options. Lifetime education is a priority in Santa Clarita. Not only home to more than 50 primary education sites, Santa Clarita boasts three secondary education facilities, including: College of the Canyons, California Institute of the Arts, and The Master’s University. A number of new, muliti-family dwellings are under construction, offering state-of-the-art amenities and access to public transportation, shopping, dining, and entertainment. The Santa Clarita Valley offers a wide variety of new and existing homes for families just starting out, to executive properties and custom homes. The Santa Clarita Valley has room to grow and new homes are being built all around the region including the new 21,000 home development, Newhall Ranch. The SCV prides itself on being a safe and healthy community in which to live. are all committed to ensuring the well-being of residents and visitors. SCV is home to Henry Mayo Newhall Hospital, an award winning, state-of-the-art medical center that provides a a wide range of inpatient and outpatient services across multiple specializations. Kaiser Permanente's high-tech “next generation” is another local specialty care facility, along with regional offices for UCLA Health, Providence Holy Cross, Children's Hospital Los Angeles, City of Hope Cancer Center and more. Based on FBI statistics, the City of Santa Clarita consistently ranks as one of the safest cities of its size (population over 150,000) in the nation. Santa Clarita is one of the best places to live in California because of the proactive public safety programs, which include an emphasis on youth and business. There are countless fun things to do in the Santa Clarita Valley! Whatever you enjoy, there’s every kind of adventure to be had. of fantastic experiences for all ages. Santa Clarita sits perfectly in the middle of all the top Southern California events and excursions. Here you’ll find everything you value in one outstanding Southern California destination that's central to everything. Santa Clarita is the hub for family entertainment and a short drive to beaches, snow and other nearby attractions. picturesque Castaic Lake. In addition, SCV hosts scores of festivals and concerts, and we’re home to the thrill capital of the world: Six Flags Magic Mountain! What more could you ask for? SCV is loaded with tons of attractions and fun!